What is the width of the opening for the chain attachment point? Will a cable eye with metal support fit between? 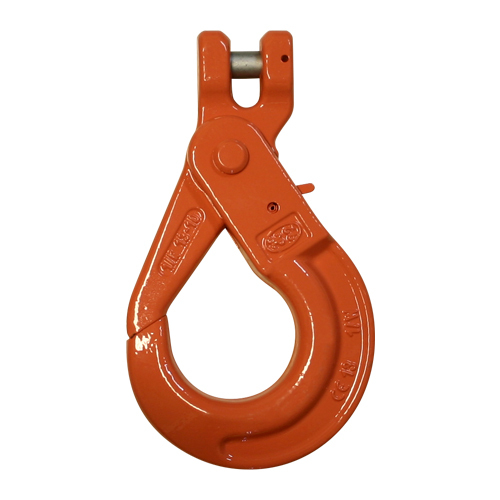 Please view the attachment for full dimensions.� On this hook, "B" is 0.47" which is likely not large enough to fit a thimbled wire rope eye.� These hooks are simply not meant for that.� Instead, you would want to use the CRO Eye Version of this hook, and terminate the cable into the eye.